We all know deep down that the dog thinks he’s the boss. 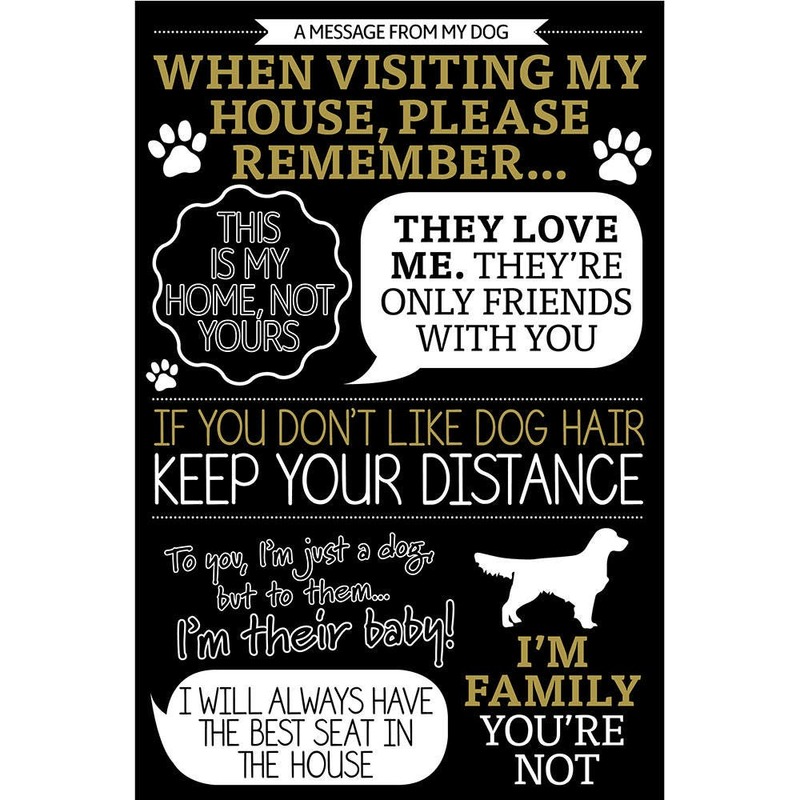 Let visitors to your home know that, when all is said and done, they must respect that your dog comes first with this funny dog art print ‘When visiting my house…’ rules. An ideal gift for dog lovers for Christmas, birthdays or any other occasion. 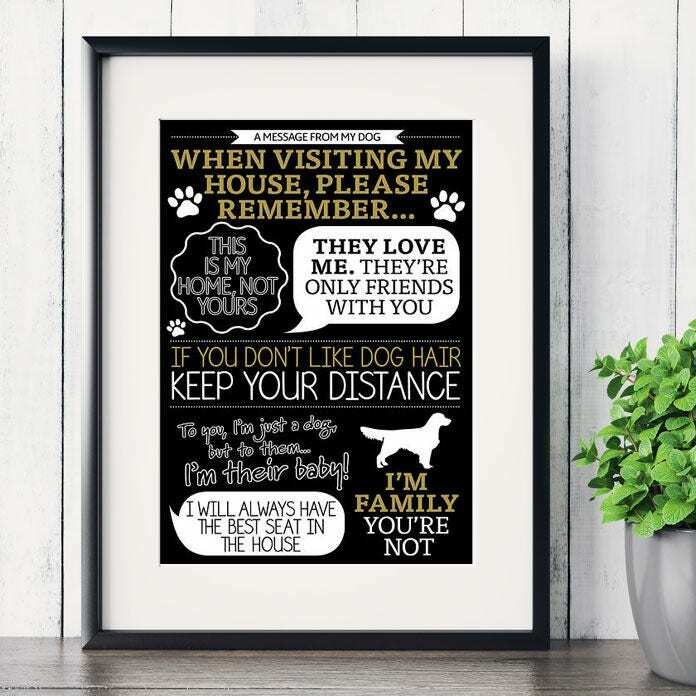 Simply add the correct sized frame and hang your dog print on a wall or stand on a shelf where visitors can see it. We are happy to customise this sign with different dog breed silhouettes. Just add a note at checkout indicating the dog breed silhouette you would prefer! NOTE: deliveries of physical prints will no longer arrive before Christmas, but we can send you a digital version of the print by email or through Etsy to arrive for Christmas right up until 17:00hrs on 24 December. The physical print will be posted on 27 December, when our normal delivery times will apply again. Premium uncoated 300gsm FSC-certified card. Product was exactly what I wanted and shipped quickly...thank you!